It's apple picking time!!! This week, we are doing an apple theme for the letter A in our Toddler Playschool. 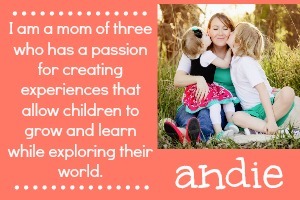 You can find our free printable lesson plans for this week here. 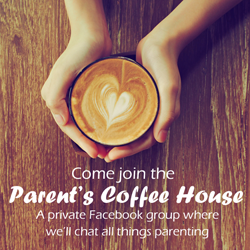 I wanted to also share with you some of the amazing fun and educational apple activities from some of my favorite bloggers. 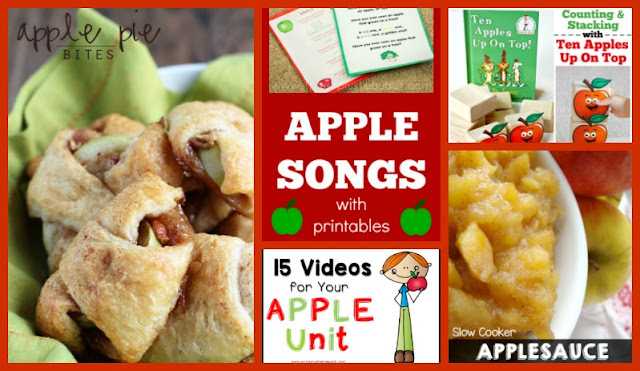 On Friday, I shared our A is for Apples Toddler Activity calendar. Some of these activities are ones that we are using this week! Spice up your playdough fun with homemade apple pie playdough. Work on matching upper and lower case letters with this free printable. Practice lacing skills by making stuffed paper apples. Have some science fun with these apple volcanoes. Use this apple printable to practice counting through a fun game. Make some gorgeous apple suncatchers to spruce up your windows. Go bobbing for apples using a method that works on fine motor skills. Crate a festive apple garland with yarn. Head to your local library and check out some of these apple books for kids. Mix up your sensory bin with this apple pie version. Practice one-to-one correspondence with this apple counting activity. Have fun working on color matching and fine motor skills with this apple sensory bin. 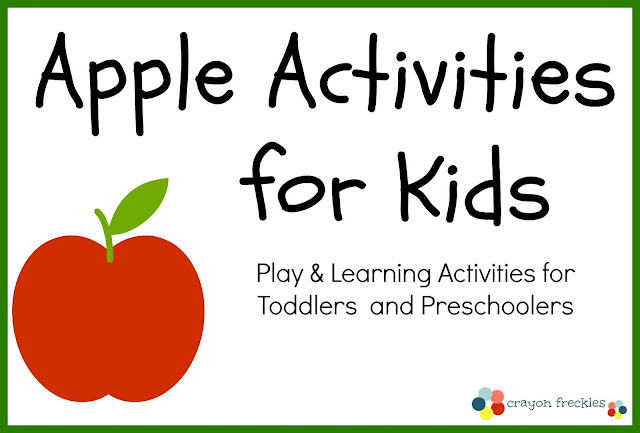 Get one-to-one correspondence and fine motor skill practice with this easy to make apple game. 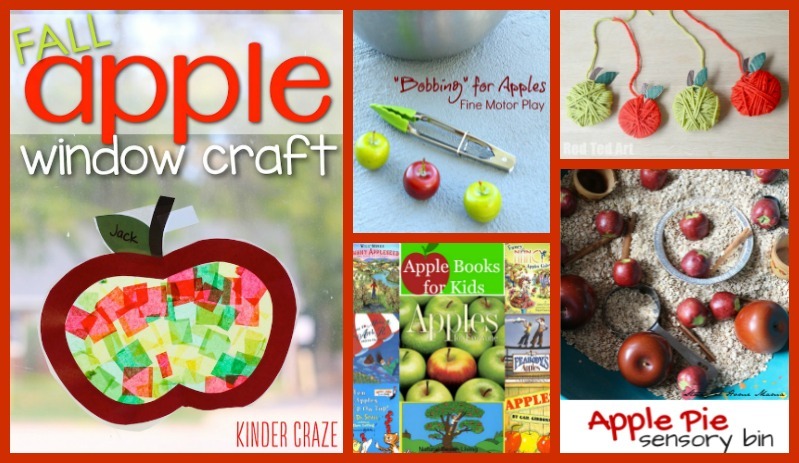 Create a cute apple craft with tissue paper. 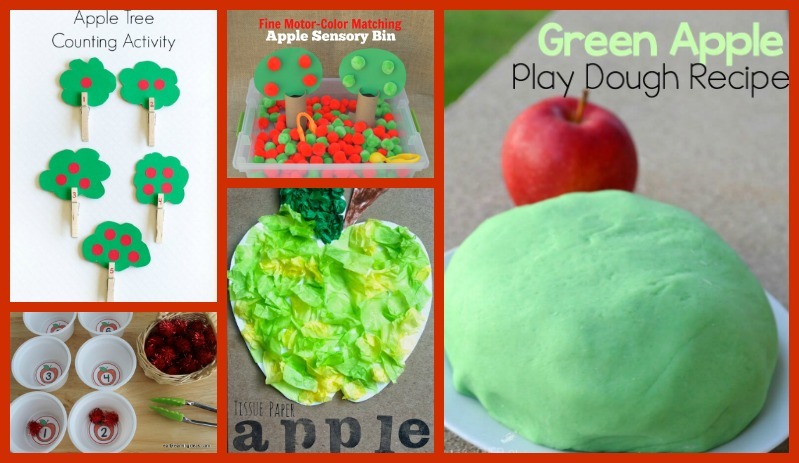 Change up your playdough station with some homemade green apple scented playdough. Work on cutting skills and name spelling with these super cute apple name puzzles. 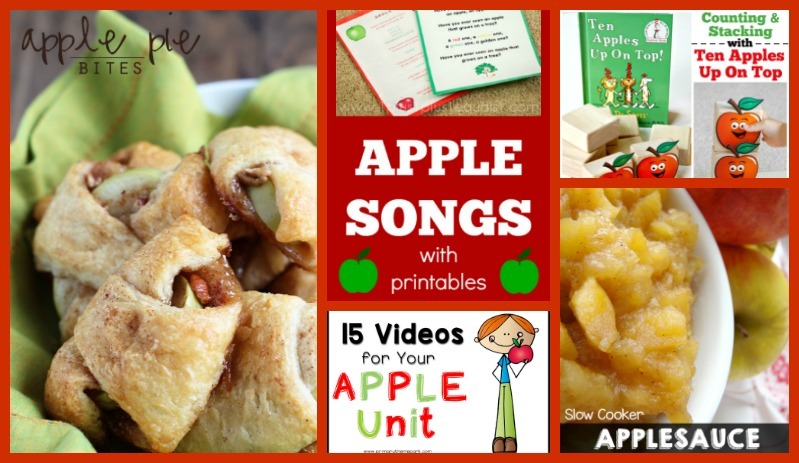 Make a yummy apple themed snack like these crunchy apple boats. Play this fun "Fill the Bucket"counting game. Spruce up your dramatic play corner by turning it into an apple stand. 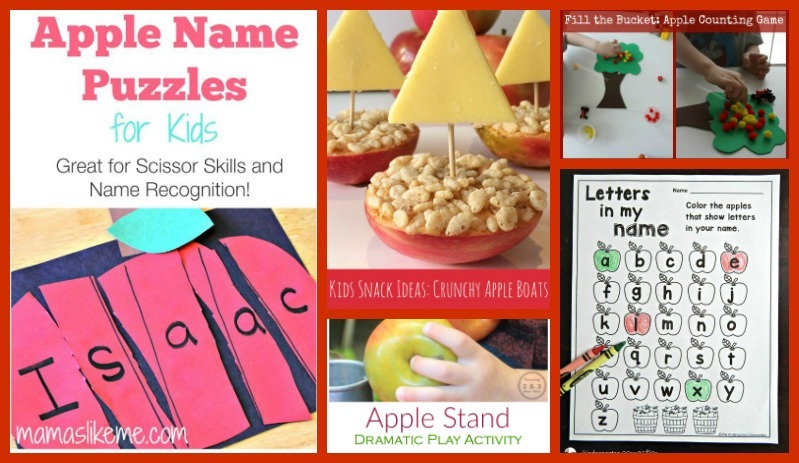 Practice letter recognition and name spelling with this free apple printable. Have some snacktime fun by making some apple slice "cookies". Create fun art prints using apples. Use these free apple number puzzles to reinforce counting skills. 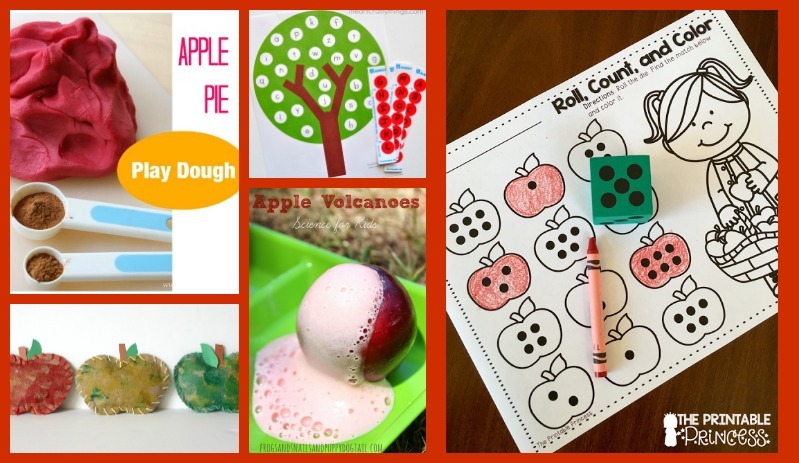 Practice name spelling with this inventive felt and button apple activity. 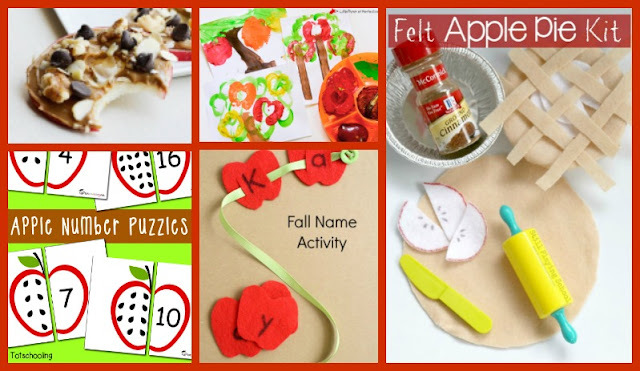 Have some dramatic play fun after making your kiddos a felt apple pie making play kit. Spend some time in the kitchen and makes these yummy apple pie bites for dessert. Add some apple songs into your circle time or during free play. Get to building with some block play inspired by an apple book. Log on and check out these apple-themed videos. Start prep early and make some crock pot applesauce to eat with dinner. Use this apple counting activity to practice counting skills with fingerprints. Mix science with your sensory bin with this magnetic apples sensory bin. 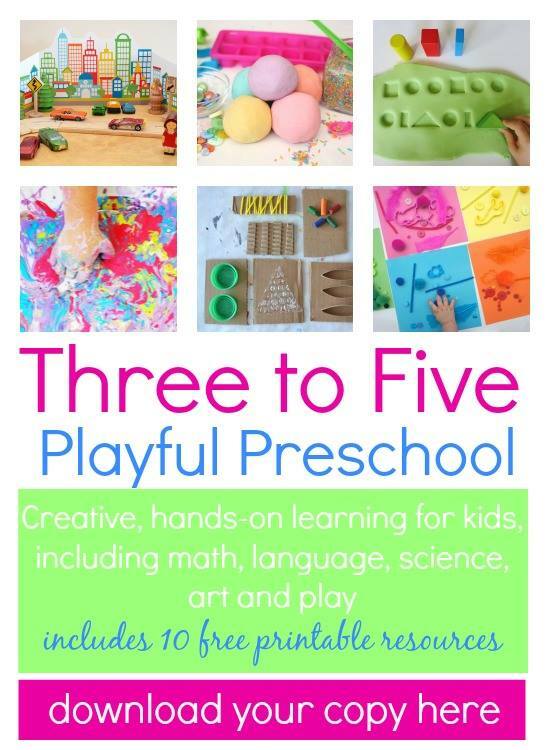 Work on fine motor skills by setting up an apple tree playdough table. Build cutting skills with these free apple cutting practice pages. 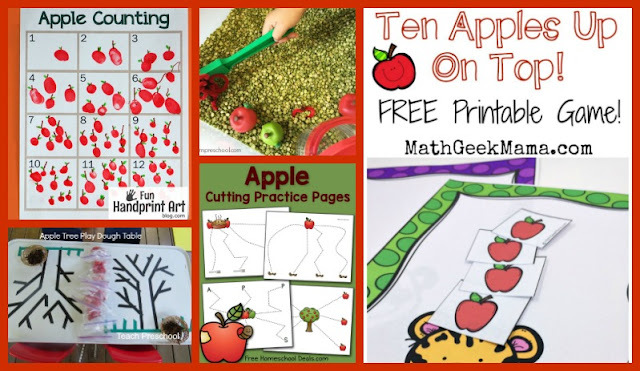 Have some family fun and play this ten apples up on top math game.